Modern technology and acupuncture’s ancient theories have been combined to provide you with safe, virtually pain-free treatments. To protect your health and that of your acupuncturist, acupuncture needles are only used once and then destroyed at biohazard waste facilities. These fully disposable needles are made of high-grade stainless steel specially engineered for flexibility and smooth insertion. They are often no thicker than a human hair and are so flexible that they can be bent many times before breaking. 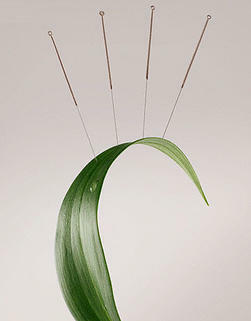 You can rest assured that acupuncture is a safe treatment that is State-approved and follows strict codes of hygiene.